America’s legal marijuana market topped $6.5 billion in 2016 and is projected to grow to $24 billion by 2025, yet data-driven insights into consumers have remained elusive. Two new studies are shining a light on the cannabis consumer, providing insight into actual purchase behavior as the industry prepares for four new state recreational markets, including California, and six new medical markets expected to come online in the next eight months. As the legal recreational and medical cannabis industry matures, consumers are increasingly open to experimenting with new products and delivery methods, including concentrates and infused edibles, according to a report released Wednesday by cannabis analytics firm New Frontier Data. Meanwhile, sales of traditional dried marijuana, a.k.a. flower, are on the decline. In 2016 alone, recreational demand for flower fell from 85 percent of sales in January to 64 percent in December. The decrease was mirrored in medical markets, where flower’s share fell from 87 percent of sales to 65 percent. During that period, medical markets saw demand for concentrates grow from 10 percent of sales to 27 percent, according to the report. On the recreational side, concentrates grew from 10 percent of sales to 21 percent, while demand for pre-rolled joints grew from 1 percent of sales to 8 percent. The shift away from flower toward higher price-point concentrates, edibles and pre-roll joints reflects a legal industry commercializing and scaling “in the light of day,” said John Kagia, New Frontier Data’s vice president of industry analytics. Other factors that could be influencing consumer behavior is the desire for discretion and a general negative perception of smoking, Kagia said. The trend toward infused products such as edibles is particularly acute in Colorado’s recreational market, where retailers moved more than three times as many infused products as medical dispensaries did in the first half of 2016, according to the report. While recreational legalization was expected to cannibalize Colorado’s medical market, the report found that strong demand for pricey concentrates and edibles buoyed sales figures in the face of declining patient participation. While the number of patients enrolled on the state medical marijuana registry ebbs and flows, the report noted a decline from 107,534 in December 2015 to 94,577 in December 2016. However, tax revenues from medical sales remained steady throughout 2016 at about $1 million per month. To gather the data, Washington, D.C.-based New Frontier Data partnered with Baker Technologies, a Colorado-based retail and marketing platform used by more than 300 retail marijuana shops and medical dispensaries in 10 states, to track consumer behavior in key markets including California, Oregon, Colorado, New Mexico and Washington. New Frontier and Baker found that medical patients spend three times more on cannabis than recreational users. In 2016, U.S. medical consumers on average shopped once every 10 days and spent $136 per transaction. In contrast, recreational consumers shopped once every 14 days and spent $49 per transaction. Medical patients are purchasing larger quantities of the same product, Kagia said. Meanwhile, recreational consumers are purchasing smaller quantities more frequently so they can sample the myriad strains on the market. 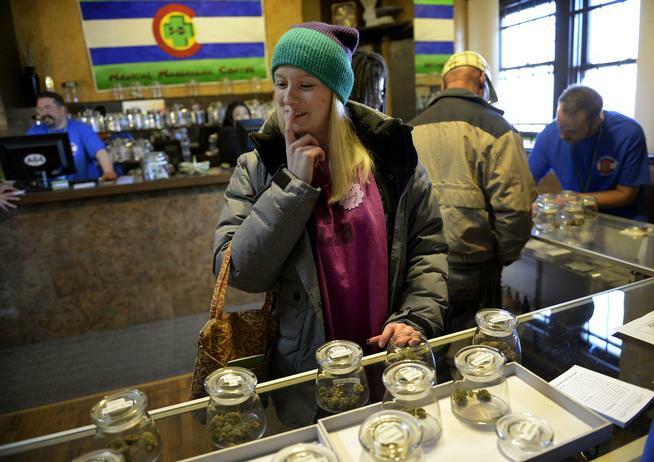 Mining granular consumer data is also a sweet spot for Boulder’s BDS Analytics, a market research firm that tracks point-of-sale data at marijuana stores. Last year, BDS launched a consumer research survey to get a better sense of the various types of cannabis consumer. In recent weeks, the firm has started to show the fruits of that labor by quietly releasing some data from its first comprehensive survey of adults in Colorado and California. “We’re seeing some real differences between men and women, age groups, generations, attitudes and preferred methods of consumption,” said Linda Gilbert, a 30-year market research veteran who is heading BDS’ efforts on this front. The survey will be updated every six months, but the initial results have been telling regarding aspects such as lifestyle and demographics, said Gilbert, who has conducted similar research for industries such as natural foods, pharmaceuticals and alcohol. And companies within those industries — among others — are calling Gilbert to learn more about the cannabis consumer. “If I’m not in the cannabis space and even if I have no intention of going into the cannabis space, I have to, as a marketing person, start to look at this as a new consumer cohort that I should try to communicate with,” she said. For example, survey participants who have consumed cannabis in the past six months are more likely to be engaged in physical activity on a once-a-week or greater basis than people who don’t use cannabis, she said. The survey showed that 56 percent of consumers partook in outdoor recreation, compared with 34 percent of non-consumers; 53 percent of consumers hit the gym, versus 33 percent of non-consumers; and 42 percent of consumers engaged in yoga or Pilates, versus 21 percent of non-consumers. From focus-group interviews, BDS found that men are using cannabis to relax and to enjoy recreationally with friends, she said, adding that women said they consume to address anxiety, stress and pain such as menstrual cramps. Gilbert’s BDS team also gleaned that women make up the majority of new consumers. That knowledge could be incredibly powerful for companies within and outside of the cannabis industry, she said, reflecting on the launch of women-targeted products like Virginia Slims or energy bars.